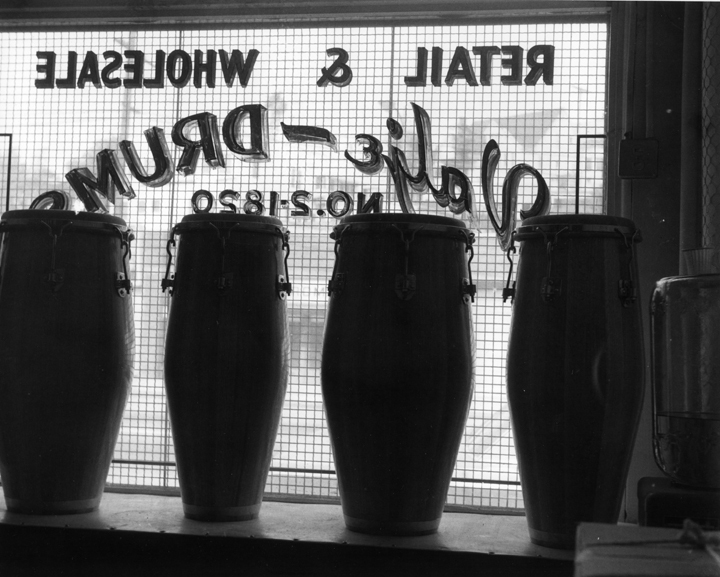 Ask any professional conga player from the the bygone era of 1960's if they have ever heard of Valje Drums. There is a pretty good chance not only have they heard of them, but may have actually owned a set. Today if anyone is fortunate enough to own an original Valje, it is now considered a classic!. 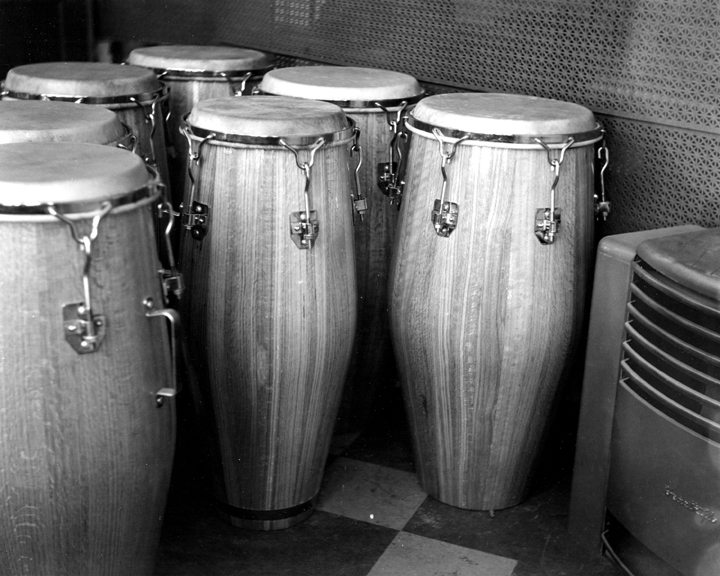 Valje Drums were invented by my father, Tom Flores. Back in the 1950's when he first started designing and creating drums, he believed the one thing that would set him apart from everyone else was superior sound. Once you have mastered that, you must make the drum strong enough to withstand abuse. The final step is to create a distinctive look - it only takes one quick glance to recognize a Valje. He believed if you combined all three qualities the product would sell itself. I guess he was right, because for the several years that we worked together making drums, we were always three months behind in orders. Yet he never spent any money on advertisement. The shop was located on Sunset Boulevard in Los Angeles, California. Although the store was quite small, it somehow managed to attract some of the biggest names in the music industry. You never knew who was going to walk through the door, purchase a set of drums and say to my father " Valje is the best drum on the market". Valje drums are no longer made by Tom Flores, as the business was sold in the 1980's. It was not until 1997 that my father became interested in making the same quality drums that made him famous, the company known as " Resolution" was created and now I (Ralph Flores) carry the unique tradition of drum making. 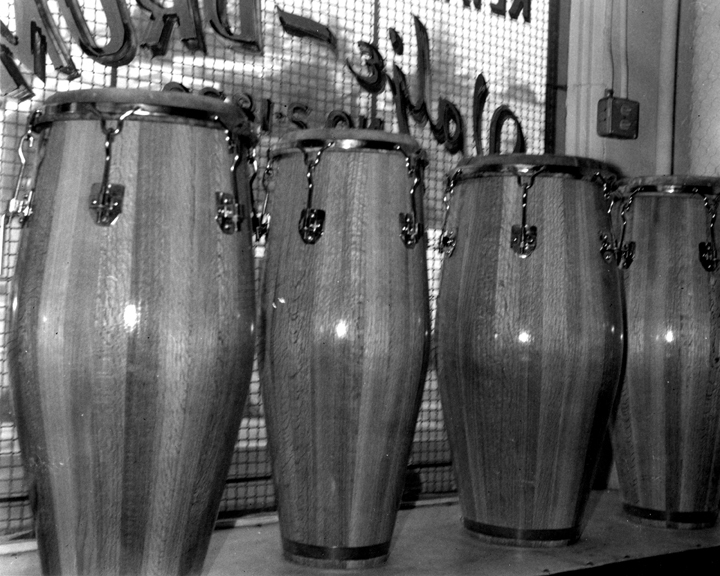 Each drum is completely hand crafted using the technique and experience of a bygone era. say to me " Resolution is the best drum on the market".